Many people from many places have come across the seas, to make Australia their home. 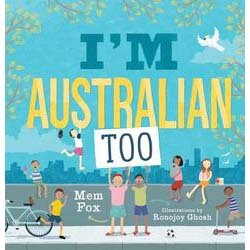 A celebration of the Australian history of migration by Australia’s pre-eminent children’s author Mem Fox. Distinctive and joyful pictures by Ronojoy Ghosh.